Originally bred to keep the fox population under control, these feisty terriers have incredible stamina and determination. This should be kept in mind, as without correct mental and physical stimulation, Border Terriers can become mischievous – digging and barking unnecessarily. 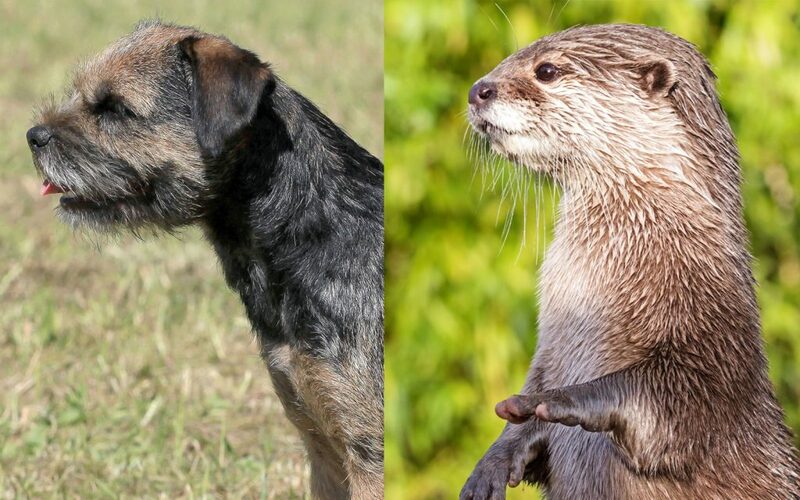 The most defining feature of a Border Terrier is their ‘Otter-like’ head. They have a coarse, dense top coat and a softer undercoat. The nature of their coat means they are relatively low maintenance, however brushing weekly will help keep loose, fly-away hairs at bay. Clipping this coat will result in a dramatic change in texture and colour. The correct harsh wire coat needs to be encouraged by plucking the blown coat when it is ready to be removed. This stimulates hair follicles to produce new guard hair. Without stripping the guard coat will not grow in properly and will lose it’s brilliant colour and texture. If only the undercoat grows it will have a softer, lighter colour. If you are planning on clipping the coat it is recommended to use any blade within the range #4F – #7F or short-medium comb guides for the body. The longer to leave the coat, the more you’ll be able to retain the natural look of the coat texture and colour. If clipping the coat, using a coat rake/carding tool after clipping, can help to promote correct coat growth and colour. The ears might need a few longer hairs plucked away to have a velvet texture. If the ear has a generous covering of hair, you can clip with a #15 blade outside. The top of the muzzle can be cleared by plucking or using thinning scissors, depending on the amount of hair and sensitivity of the dog. A small amount of hair can be left above each eye to accentuate it, but not enough to be confused with an eyebrow. Trim pads with a #15 – #40 or safety/toe scissors. Neaten feet with detailing/safety scissors and trim hocks with thinning scissors if needed. For everyday use, mild/hypoallergenic shampoos are recommended. This coat must not be softened to maintain it’s correct texture.